Ambergris Caye, Belize, August 1, 2017	(Newswire.com) - How would you like to own an incredible 48-acre beachfront parcel on Bracilette Caye Island, 10 miles away from San Pedro airport in Belize? It might seem like a far-fetched investment for some, but Coldwell Banker – Belize's number one property Development Company, is offering for sale this huge, expansive beachfront parcel to interested developers and investors for an unbelievable price of $1,950,000 US only. This is a rare and limited time opportunity for interested investors and developers alike to become one of the major players in the real estate and property development boom that is currently taking place in Belize, and we have all the necessary resources needed to get you right in the game. 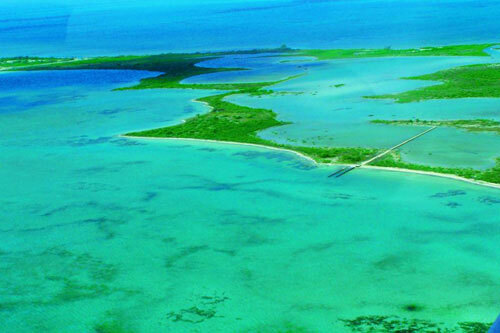 Bracilette Caye is a fast developing island with several distinct parcels of land fully equipped for construction and they're selling off fast. This particular property is located adjacent to Ambergris Caye – the number one tourist destination in all of Belize, and its current selling price is expected to skyrocket within the next few months, as soon as construction on Blackadore Caye is well underway. The property features 10,400 ft. of waterfront and there are 2400 ft. of private landing strip that can be constructed on it. Buyers who may want to extend the runway can also do so, up to a further 3000 ft. with the purchase of an additional parcel of land, providing for a convenient flight path in and out of the property. The landing strip on the island after completion would allow easy routing for direct flights to and from Belize City international airport in under 10 minutes. The Belize City international airport currently operates daily direct flights to Miami (1hr, 45mins), Houston (2 hours), Cancun (45mins), and most other Central American countries. Visitors will thus save themselves the burden of going through San Pedro regional airport for connecting flights to and from the island. The property also has some nice location advantages – it is approximately 4 miles away from Blackadore Caye mentioned earlier, the popular island owned by Leonardo DiCaprio which has been approved to become an ultra-modern luxury resort with villa prices worth upwards of $10,000,000 US. It is also 6 miles from Cayo Espanto – the most exclusive island resort in Belize, and 18 miles away from Caye Chapel Golf Course. Founder and CEO of Texas-based Rap-A-Lot Records, James Prince aka J. Prince, recently purchased a 2-acre island located one mile away from the beachfront parcel as well and he is currently building a magnificent villa on the property. Several Americans who visited recently are also taking interests in the surrounding Cayes and there are very strong indications that beachfront property prices in Belize will escalate in the near future. So much potential is residing deeply in this exclusive beachfront property and it is only waiting for the lucky developer who would step up to the task and claim it. With sufficient resources and with Coldwell Banker as your guide, you can also purchase the neighboring 25-acre island separated by a 40 ft. natural channel which currently goes for $1,890,000 US and links it to this 48-acre property by a small bridge. The conjoined properties would adequately secure for you a 73-acre land mass that is perfect for building the world class resort or elite water-front subdivision, plus additional space for constructing its own airport. That's not all; according to our calculations, appropriate zoning would provide ample space for the construction of an extra 200 villas on the property. More interesting features of the property include the limestone base on the surface which allows for easy construction, the beautiful tranquil elevations with miles of pristine sandy beach – perfect for a vacation destination, the scenic stone outcroppings and walking trails, a pier and a 300 ft. pedestrian bridge across one of the interior lagoons. A fantastic opportunity for the insightful developer with huge potential for explosive growth and guaranteed multiple returns on investment in minimal time. It is also the least priced per acre beachfront property in Ambergris Caye at the moment. So hurry up and grab the offer now while it lasts!